Premium tranquil water front lot facing the center of the lake. 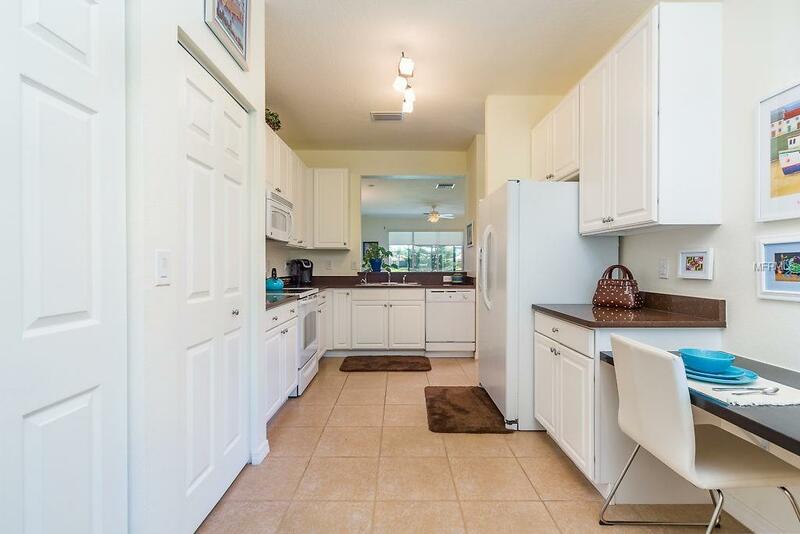 Sought after Sophia model features 3 bedrooms, 2 full baths and 2 car garage. Great lake location, short walk to Clubhouse. Why wait months to purchase new construction ? 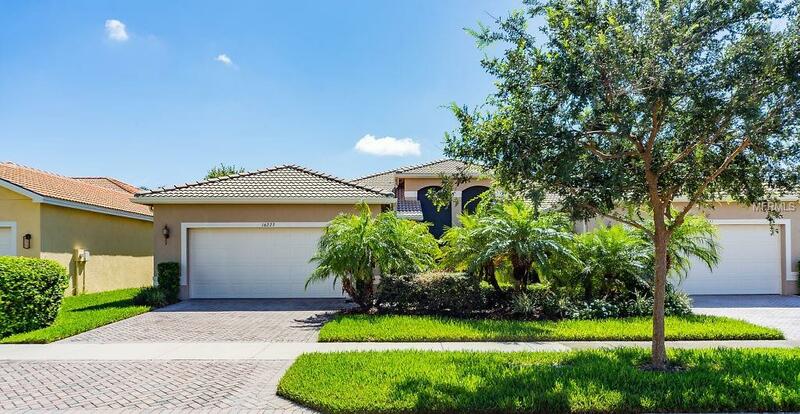 Many upgrades include hurricane grade windows, electric powered hurricane shutters on front and sliding doors, and hurricane grade garage door. Water filter system plus reverse osmosis system. Screened in front porch and screen covered patio overlooking the lake. Interior painted 2016. This premier community features a waterfront outdoor recreation area including resort style heated pool, lap swim area and resistance pool. Inside the resort style clubhouse you will find a huge social hall for events, aerobics, fitness, steam rooms, saunas, billiards, card room, internet cafe and more. The community also features Har- Tru tennis courts, pickleball courts, half court basketball, racquetball, horseshoes, shuffleboard and bocce courts, dog park, baseball park, and RV / boat storage. 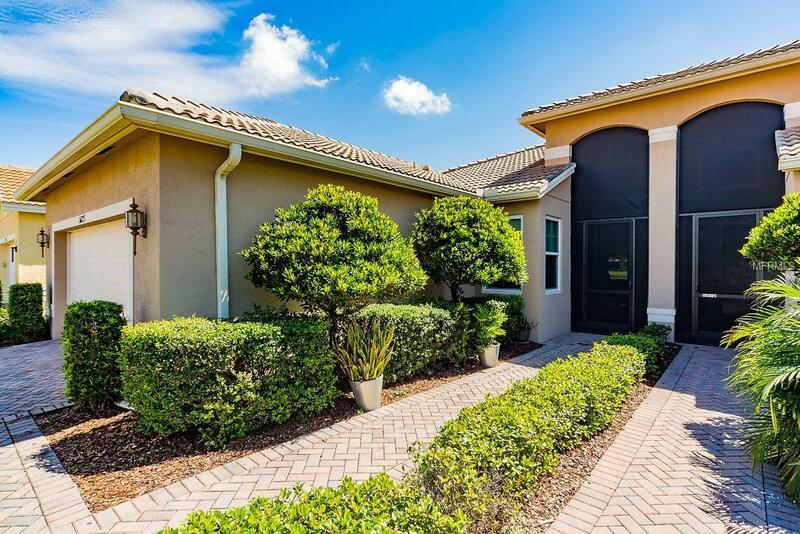 Convenient to Tampa Airport, medical facilities, shopping and golf. Located 30- 45 minutes from Tampa, St. Pete and Sarasota. Additional Lease Restrictions As Per Hoa Documents.